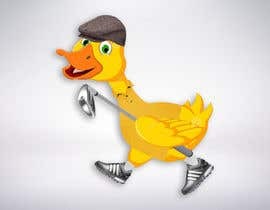 please make this image of a (yellow duck - that I have uploaded) into a golfer. This will include adding golfing clothes, maybe hat, socks, shoes.. I will be picking the best entry to do some 3d modeling and also a short animation.